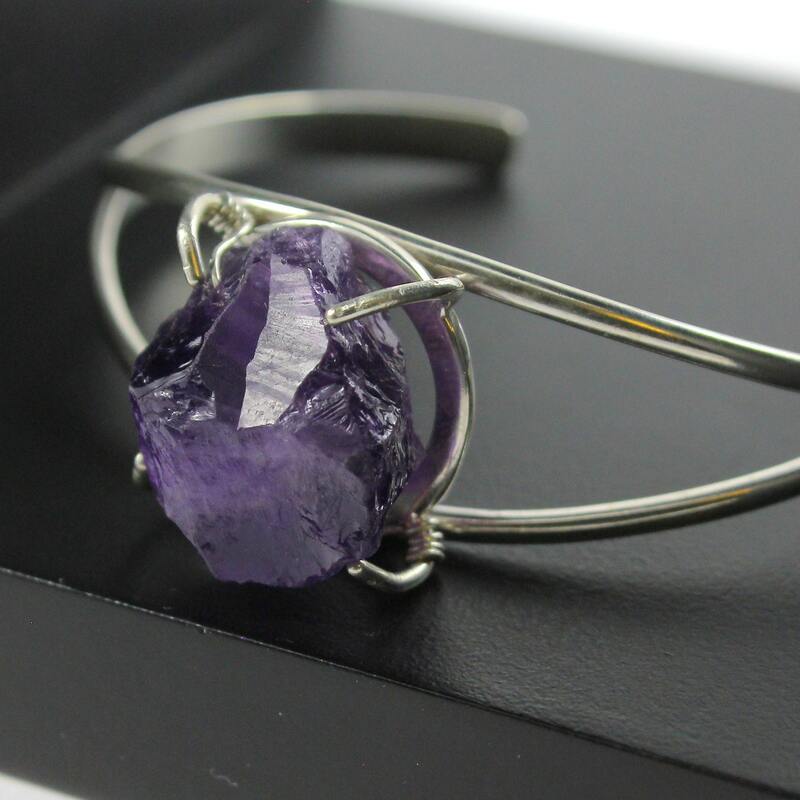 Irregularly shaped rough Amethyst stone is set on Sterling Silver Cuff Bracelet. 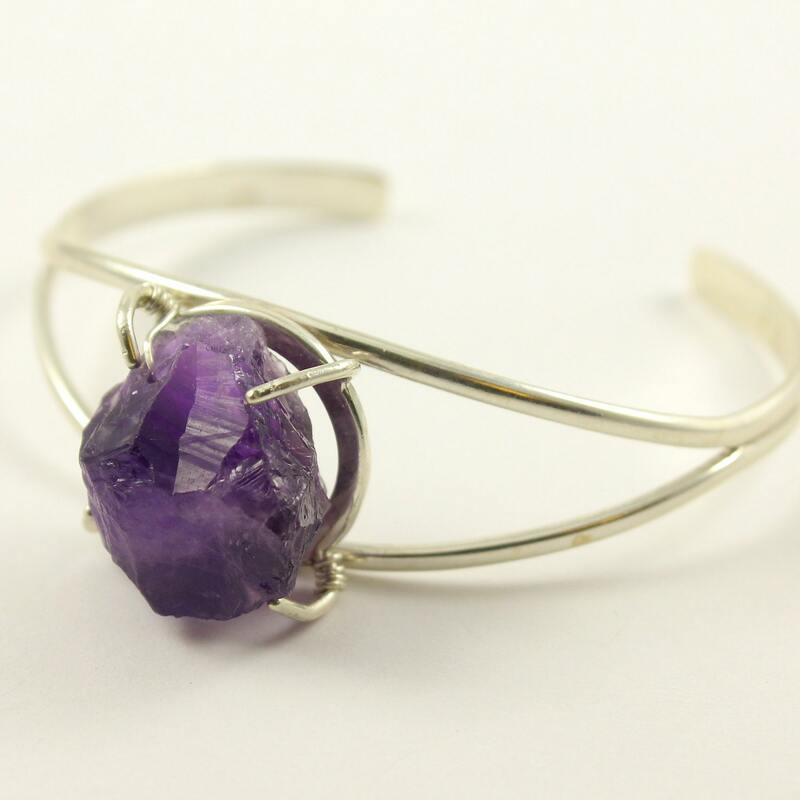 The stone is delicately set inside the mounting and is additionally wire-wrapped with Sterling Silver wire. 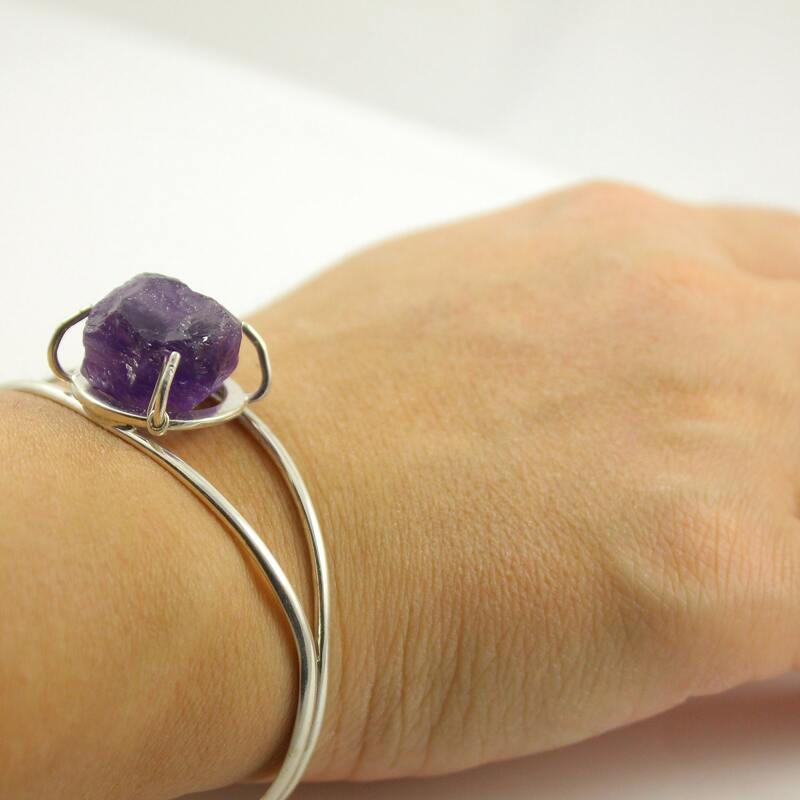 Its uneven shape makes the bracelet one-of-a-kind. 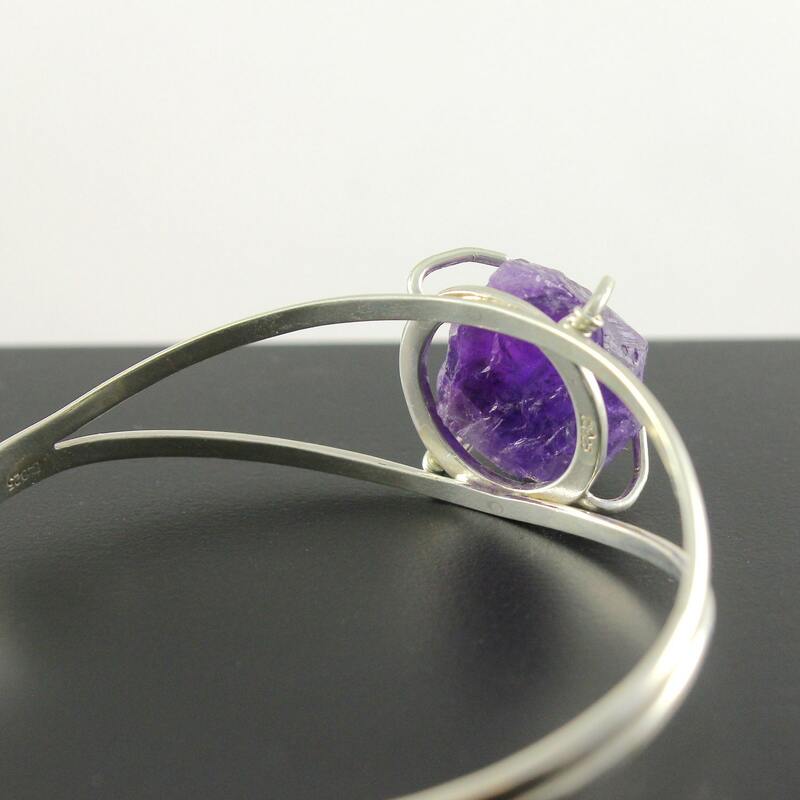 Sterling Silver Cuff Bracelet's mounting roughly measures 25mm. 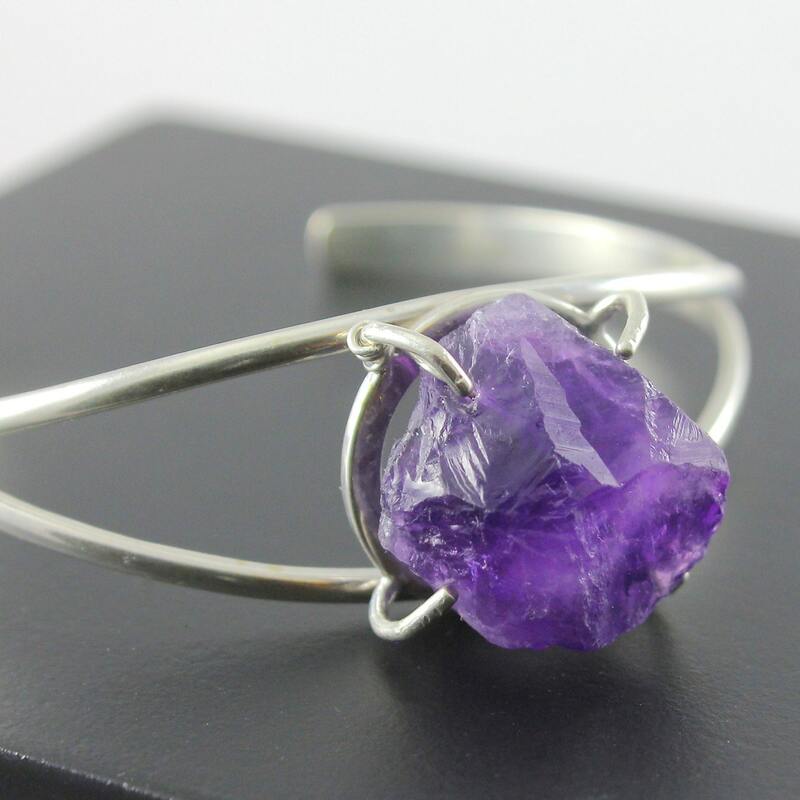 The Amethyst roughly measures 18x13 mm and has dip purple color.Since this is a natural stone the color and the size may very, but each piece has it's own beauty. The bracelet comes in a nice gift wrapping. It is ready for gift giving!